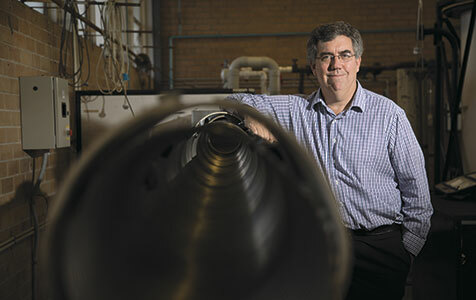 MAKING CONNECTIONS: Jeremy Leggoe has been working for 25 years to prepare engineering students for work. Photo: Attila Csaszar. A new joint venture between the tertiary education sector and industry is seeking to bring engineering firms and local graduates together in an effort to streamline employment opportunities.